The Google doodle today shows a massive landmark in Science, the day we found the speed of light. This was done by Danish astronomer Ole Rømer in 1676. More recently Freddie Mercury would sing about travelling at the speed of light in the Queen song, Don’t Stop Me Now. He did have Brian May in the band who has a PhD in Astrophysics. Going back to the serious business of light having a speed..How can light even have a speed? It is impossible to “see” light having a speed directly. Light just seems to instantaneously “be” everywhere as soon as the sun rises or a light switch is flicked on. 340 years ago, which is a long time ago now in the context of modern Physics, the Danish astronomer did work this out. His genius laid in the fact that he worked out a peculiar quirk in exactly when Jupiter’s moon Io popped into view through his telescope. It appeared to pop into view at different times at different times of the year. It shouldn’t have because celestial mechanics are very stable and steady indeed. He questioned the very assumption that light itself must be taking shorter or longer to get to the earth from Io. This is what the Google doodle shows today. Doing calculations with the speed of light are fairly standard at A Level Physics, but they also come up occasionally at GCSE Physics as well. Professor Brian Cox explains this much better in his short video that I have linked below. So click away and learn about this big part of Scientific history. This entry was posted in Physics Tuition Resources, Uncategorized and tagged a level physics, igcse physics, light speed, online tuition, radiation, speed of light measurement on December 7, 2016 by Atul Rana. [The agency] has grown by developing goodwill with parents and pupils, and have a wide ranging network of parents and clients who cross the economic and political spectrum. 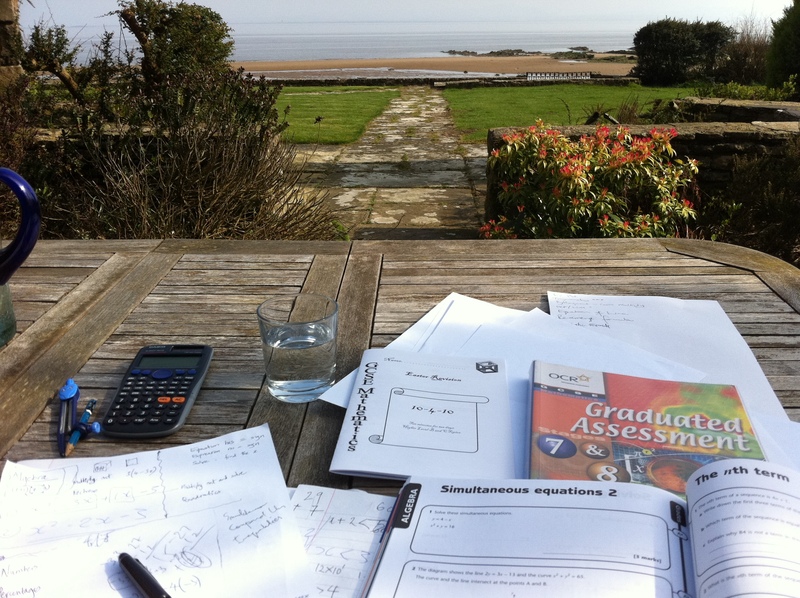 And as such, tutoring can be remarkably useful for all sorts of serendipitous reasons. Tutoring has opened many a path to greater things which was hitherto closed. For me the journey began on 9 November 2006 when I had my first ever 1-on-1 academic tuition student, marking my 10 year anniversary of being a tutor this year. I want to recall the story of my first student and also reflect on some of the amazing things that have happened in the last 10 years of tuition. The Summer of 2006, a real tough one for me and my family. The unexpected death of my father in Nov 2005 was life changing and bought upon me big responsibilities. I had finished my PhD for over a year now, and was in debt. I was looking for Engineering jobs and anything else I could do with my academic background. That year I was a Specialist Graduate marker for the Edexcel board spending hours marking a couple of thousand GCSE exam scripts. It turns out that this experience was to come in invaluable as a tutor. But that job ended and I was soon in debt again. Around April 2006 I had applied to a tutoring agency that a friend of mine had recommended. Apparently one of my friend’s friend was making decent money from it. I had already done some 1-on-1 guitar tuition at university so somehow tutoring did appeal to me. I did an interview with the agency around June 2006 and never heard from them again. I was absolutely terrible with job applications anyway, and not hearing from employers was the norm for me. I never sold myself well enough or was confident at interviews for Engineering jobs or even part time work. My favourite walk in the Yorkshire Dales. After almost six months the agency phoned me up and asked if I could tutor AS Level maths to a student who had just started it. I took the job on, and of course the agency knew at that point that I had not tutored before. I phoned up the mother and explained that I hadn’t tutored before but I had previous bits of teaching experience and that I would look up the syllabus and prepare myself in detail. For a 1 hour tuition session, I must have prepared for about 3 hours. 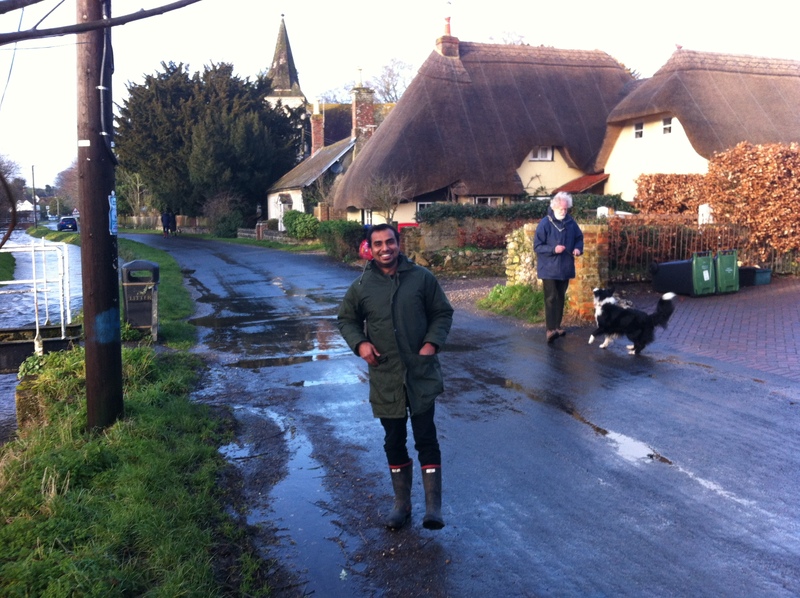 Tutoring at a small village in Hampshire and gone for a walk. The first session was a breeze, I went to someone’s home for the first time to tutor which felt really nice, as I was a guest at someone’s home. The session went down well and my student was so stuck at the starting level that none of the hard stuff I looked up needed to be covered. I cleared up the basics with ease, and set a few questions as homework to consolidate learning. We only needed another 3 or 4 sessions after that, my student had cracked the topic and felt confident at tackling everything else on her own. I didn’t feel like there was any point continuing as I realised that the goal of tuition is to make yourself redundant as a tutor, and to make the student independent. Given that I was desperate for money at that time, this was a brave move. But the right move. The agency trusted me and by then I had 3 students already. I was beginning to earn enough money to pay my rent now. The previous 12 months were of family tragedies and debt, so my life was really on the upward finally. £25/hr was the highest hourly rate I had ever earned in my life and this gave me a real sense of confidence. Plus I had the unbelievable satisfaction that I was making a difference to young people’s lives. 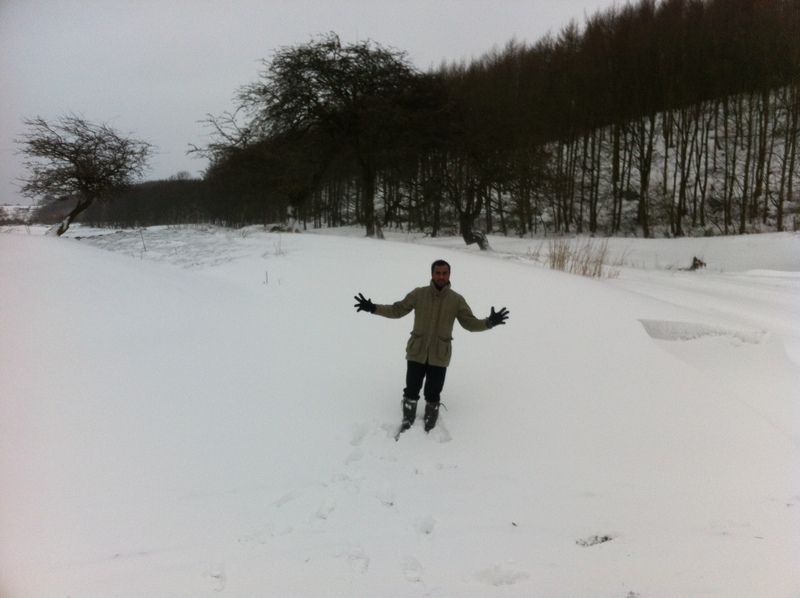 Enjoying the snow in Yorkshire with snow drifts and all. A tutoring trip with snow adventure! The rest is history really, the agency just kept giving me more and more jobs, and the first half of 2007 was incredible. I was making money, all on my own terms. No employer, no hassle and a great working environment, a nice friendly home. I was really beginning to enjoy my work, which never felt like work, and eventually this was to become my career. I was still after a full time job however and in October 2007, I started one. I had already started with some students earlier in the Summer so I decided to continue with them despite working full time. The agency also kept giving me new work, all in the evenings. My private client base kept growing and growing. Parents were paying me to come up to Yorkshire to tutor, and I stayed over in the stunning Yorkshire Dales. I felt more alive, valued and in control of my life when tutoring. The city job became dull, 9 hours a day crunching spreadsheets became soul crushing. 18 months later I took a pay cut and decided to tutor full time. It was June 2009 and a new and brave beginning for me. My entire livelihood now depended on tuition. Over the last 10 years I have lived in with numerous families in Yorkshire, Hampshire, and even as far as Scotland. I clocked up nearly 100 days away from home in 2012. I have tutored so many students who were either written off school or were just never predicted the right grade. All of them got the right grades and made a good life. Many of them are still in touch with me and I now visit them as a family friend. The people I have met have really come from a huge range of social backgrounds, but irrespective of that, all of them have always had their children’s future and best interests in mind. I have learnt so much by living in with families, tutoring at schools, travelling to homes in London and now my chosen method of tutoring online tuition. I have earned more than I have ever done in my life, even when I had a full time job, and every year just gets better. I have learnt the intricacies of business, accounting, marketing, books, client relationships. I love every moment of it. The feeling of giving someone new knowledge and seeing new light in their eyes as they crack something they thought was impossible is what drives me. So here’s to another 10 years of tuition. I leave you with some of my favourite photos during the last 10 years of tuition. This entry was posted in Uncategorized on December 3, 2016 by Atul Rana.